Under American law, in credit card fraud cases, the credit card fraud victim holds little to no liability for the credit card fraud. This only makes sense, as the victim has clearly done nothing wrong, besides potentially having acted with a slight amount of carelessness that allowed the fraudster to get a hold of the credit card fraud victim's personal information, so that the fraud could be perpetrated. 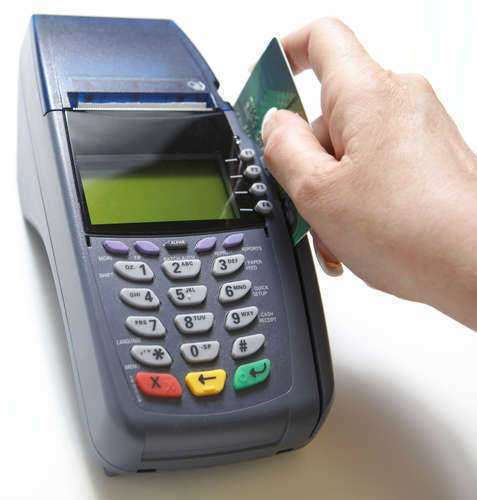 But unfortunately, despite the lack of liability on the victim, credit card fraud cases put liability upon the merchants who sold goods to the fraudsters. Any services and products which the merchant has sold to the fraudster or fraudsters are considered losses, and there is no way for the merchant to recoup those losses. Due to this feature of credit card fraud cases, many merchants wind up having particularly stringent policies for dealing with credit card purchases, or they have special security systems designed to better verify the status of credit cards being used for sale. Some of these systems come from credit card companies themselves, such as Verified by Visa and MasterCard SecureCode. The primary flaw of such systems is that they make sales in general more difficult, and often wind up deterring those who would otherwise have made purchasers; but merchants are taking the risk that the business they lose from using such features would not outweigh the business they would lose from credit card fraud if it came through. Some merchants can actually get chargeback insurance, which is a specialized form of insurance designed to help protect merchants who use credit cards in transactions. The point of chargeback insurance is that it diminishes the damage done in the chargeback process. Chargeback is a term referring to the system by which banks force merchants to pay customers back immediately in a reversed transaction. Chargeback is the means by which a credit card fraud victim would essentially have the debt removed from his credit card account, as the merchant would be paying back to the credit card fraud victim however much the fraudster had spent at the merchant's business. Merchants can get chargeback insurance to help cover claims arising from liability in credit card fraud cases, so for a prepared merchant, the damage can be reduced. In general, the merchants most affected by liability from credit card fraud cases are online merchants, considering that online transactions provide an easy route for fraudsters to make purchases using stolen credit card numbers. As a result, many online merchants have particularly stringent policies concerning the use of credit cards, or they charge slightly higher prices across the board as a means of recouping the losses from the credit card fraud cases. Some recently proposed legislation would have changed the law such that both a credit card fraud victim and the merchant involved in the fraud would be protected, and not held liable; this practice would not only decrease merchants' costs, but it would likely decrease the overall price passed on to the consumer. The legislation was struck down, however, most likely thanks to the credit card companies' lobbies, as merchants might not implement as many security measures against credit card fraud cases if they were no longer held liable for losses in such cases.